As the name suggests, the Circle is a parametric Shape where all the vertices are equidistant from a single point, the center. The the Circle has a three control parameters that define its geometry. The radius of the circle sets the distance in units of each vertex from the center of the Circle. The number of segs determines the number of facets in the Shape, but also the number of vertices. Any meshes generated by the circle may be optimized or decimated by reducing the segs count. 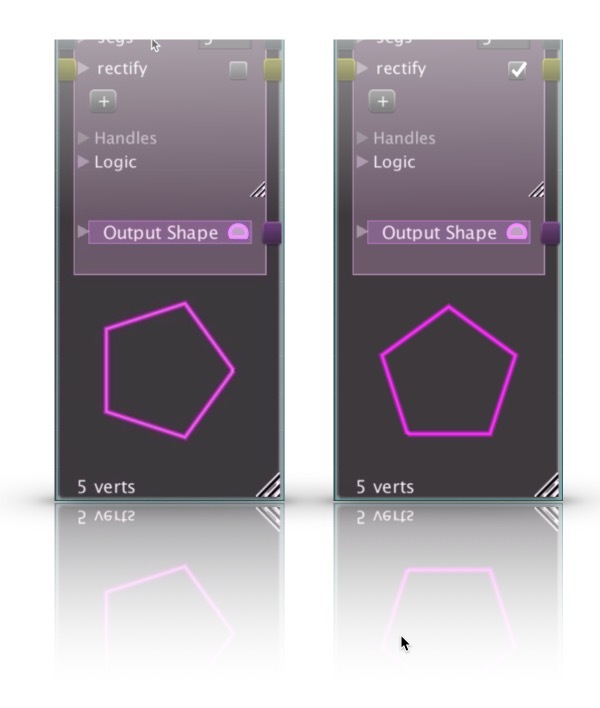 The rectify parameter comes in hand when dealing with a odd number of segs. If the shape is rectified, then, rather starting with a vertex falling on the X-axis, the Cicle is turned so that one facet is parallel to the X-axis. This comes into play for Shapes with small segment counts such as a pentagon. The only Handle described for the Circle Shape is a Circle Handle, which features two sub-handles: a Point Handle locked to the X-axis, which controls the radius parameter, and a Tangent Handle that is perpendicular to the X-axis and controls the segs parameter. 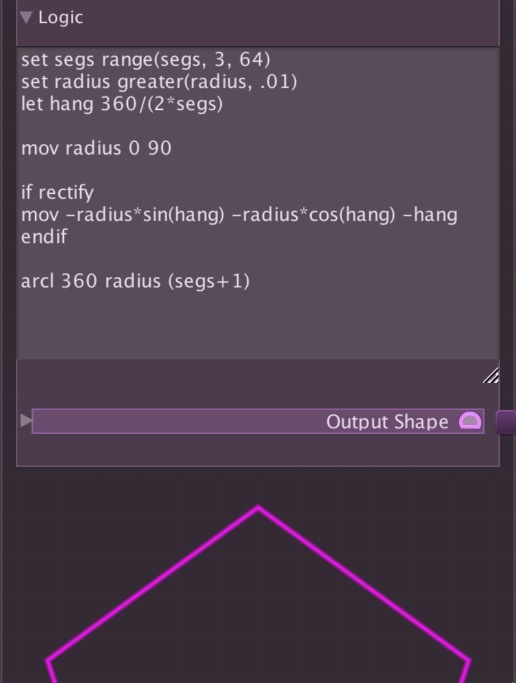 The logic of the Circle is based on an arcl Turtle command in AX Script. 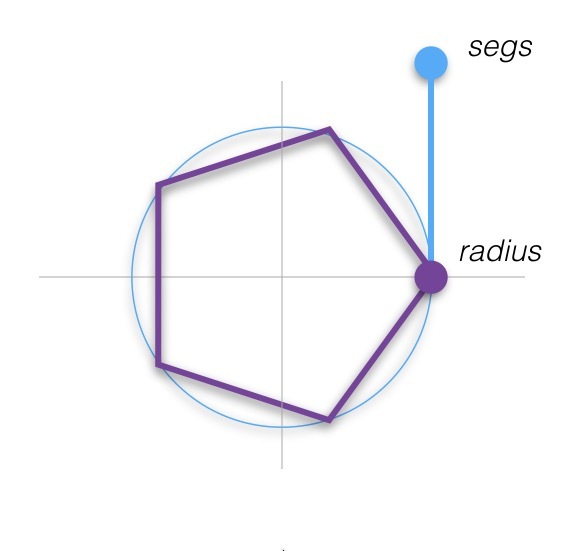 The first lines limit the segs to an integer between 1 and 64 and the radius to a minimum of .01 units. a temporary variable called hang is used to rectify the Circle if the rectify parameter is set to true.